Fores: "I think this is our most positive weekend of the year"
The Xavi Fores (Barni Racing Team) that we’re seeing at the end of the season shares a strong resemblance to the one who marveled in the early rounds of 2018, when he climbed onto the rostrum in both opening Rounds and was a fixture at the top of the standings. 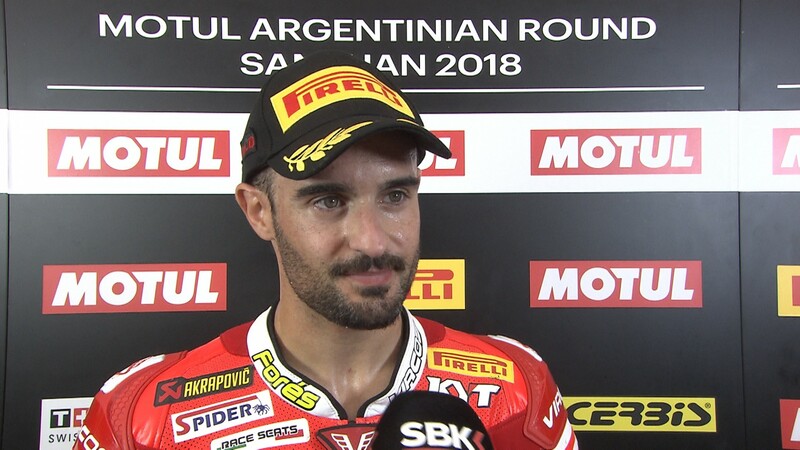 In Argentina, the Spanish rider completed another solid weekend: after just finishing off the podium in Race One, on Sunday Fores was one of the stars of the second race. Only Jonathan Rea (Kawasaki Racing Team WorldSBK) managed to catch the Barni Racing rider who managed his pole position start to perfection, leading the first third of the race and then defending second place to the finish line after being overtaken by the world champion. “It’s been a pretty positive race for me”, the Spaniard explained later in Parc Fermé. 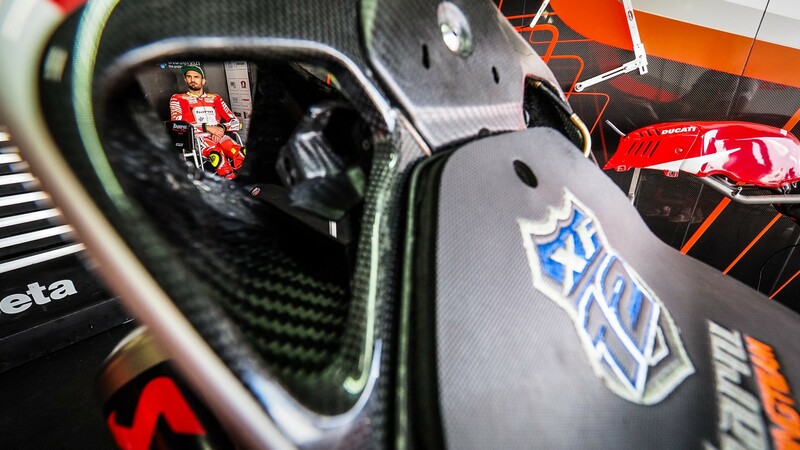 “Yesterday I missed out on the podium by one lap, I had the pace to reach the podium, but my first laps were poor. I knew that today starting from pole I had a good rhythm to be in the fight for the podium. I pushed very hard from the start – I knew Johnny would arrive at some point, my aim was to go with him”. Fores landed in Argentina after another brilliant showing at Magny-Cours where he claimed a third place in Race One, and today he wanted to ensure a fifth rostrum visit in 2018: “When Rea passed me I tried to go with him, but I was taking too many risks so I decided to secure second, which was honestly the best I could do today. It has been a very positive weekend, maybe the best of the year in term of results”. On top of the podium, there was another reason to celebrate for the Valencian and his team: they are now officially the independent champions. Fores hopes that this honour will help him in his search for a bike next season: “I want to thank the team for their efforts this year, it’s not easy to compete for the podium with the official teams – it’s very gratifying. We’ve now won our championship, it’s something that comes in handy for us and let’s see if for my future”. Relive the Spaniard’s phenomenal performance at San Juan thanks to WorldSBK VideoPass.